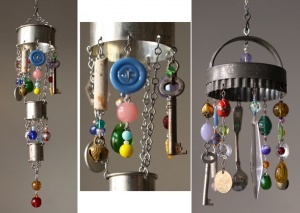 Blogesteix Chandeliers has recycled vintage cookie cutters into wind chimes by connecting bead chains and other things like old keys, salt spoon and buttons. 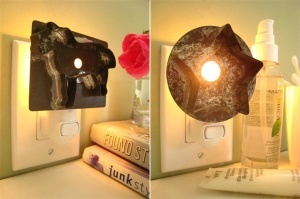 You can also try making one like this and hang it in your room. 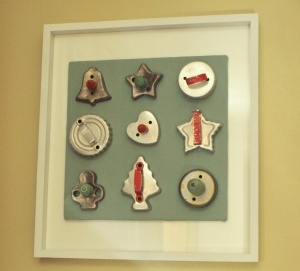 Etsy Shop Bluebird Heaven has shared a wonderful idea of recycling cookie cutters. 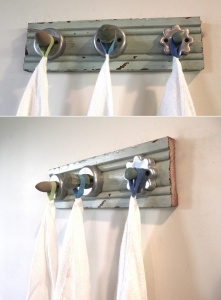 Three cookie cutters are attached to a distressed wood board with nails and they have become a unique and creative hook rack where you can hang different things like kitchen clothes, towels, coats, jewelry and more. Shahrul Niza at Such Pretty Canvas has crafted these beautiful flowers using cookie cutters and buttons. To make the stems she used metal wire and mimicked the leaves using trims and tape. These flowers serve as amazingly cute bookmarks. Organized Clutter has created this pretty planter holder for a mini terracotta pot by fixing a cookie cutter over an old cutting board. 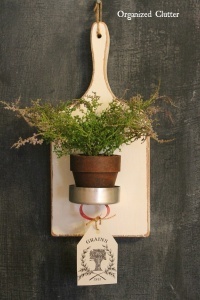 The cookie cutter serves as a perfect place for perching the mini clay pot planter. Country Living blog has presented an idea for those who sew regularly. 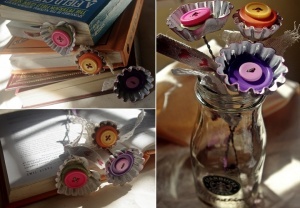 If you are in need of a pin cushion then look around in your kitchen for one or more old cookie cutters and bring them into use with the help of styrofoam, fabric and glue. 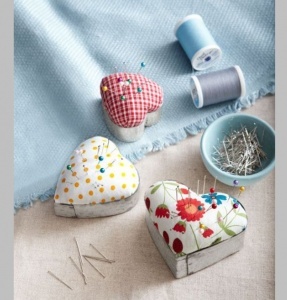 You can make these pin cushions for gifting to your friends too.